Quickly map and transform information for further visualization and analysis. 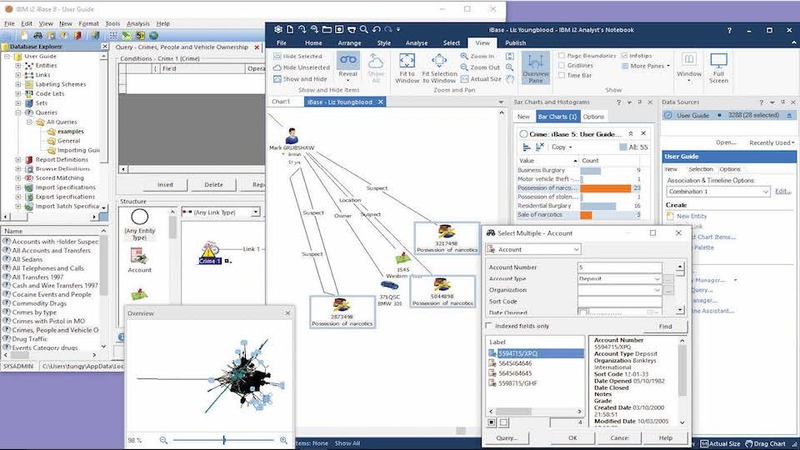 Uncover hidden connections faster and help analysts deliver timely and actionable results. Comprehensively searches intelligence stored in records, charts and documents through a straightforward internet style search bar. Access and maximize the value of all available data, including external and internal sources, like existing i2 Analyst’s Notebook charts. Check out the operating system requirements for i2 iBase before you buy. Check out the hardware system requirements for i2 iBase before you buy.